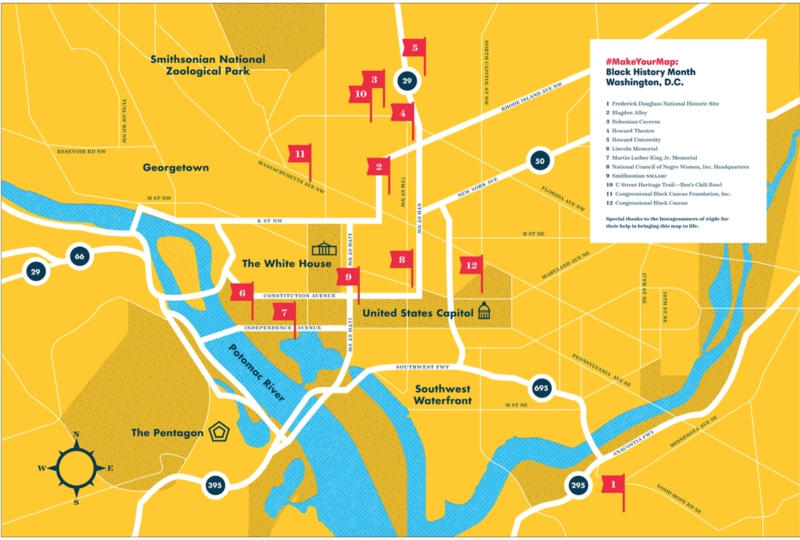 WASHINGTON— With support from The Congressional Black Caucus (CBC), the Congressional Black Caucus Foundation (CBCF), and Instagram, created maps for the #MakeYourMap initiative, with the theme of “Hallowed Grounds: Sites of African American Memories”. Instagram’s Photo Map lets you showcase where you’ve taken your photos or explore where others have taken photos on a map. Photo Maps ask what places capture your unique culture and history? Images play a critical role in helping us understand our heritage – they transcend history, time zones, and languages. Today you don’t need to live near or travel to an important museum, monument, or heritage site to learn from it – you can experience the richness of these sites right from your phone. 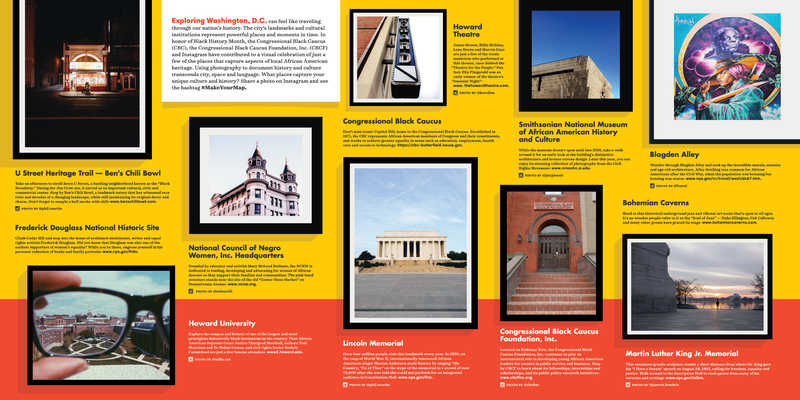 What better way to celebrate this year’s Black History Month theme, “Hallowed Grounds: Sites of African American Memories” than to map just a few local sites of African American heritage using photography? The CBCF encourages Instagram users to follow CBCF and to share a photo on Instagram using use the hashtag #MakeYourMap. The CBC was established in 1971 to empower America’s neglected citizens, be the voice for people of color and to ensure that all U.S. citizens have an opportunity to achieve the American Dream. In 1983, CBC members led the movement to make Martin Luther King, Jr.’s birthday a federal holiday. Founded in 1976, the CBCF is a non-partisan, non-profit organization dedicated to advancing the global black community be developing leaders, informing policy and educating the public. The CBCF Leadership Institute provides fellowships, internships and scholarships while the Center for Policy Analysia and Research offers open-minded inquiry into issues affecting the global black community.